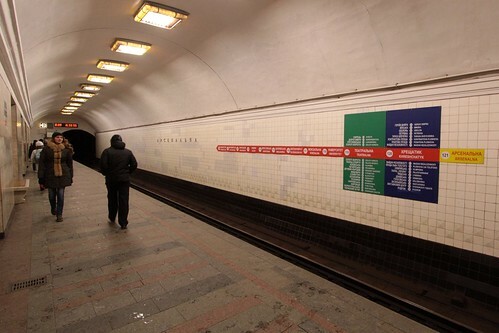 On my visit to Kiev, I was pleasantly surprised by how easy it was to get around the city via the metro network – the key being the well designed directional signage. 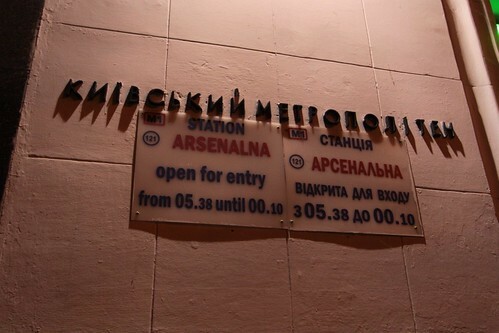 The majority of signage was bilingual – featuring Ukrainian and English. At platform level, more bilingual signage indicated which direction which train to catch for a given station. 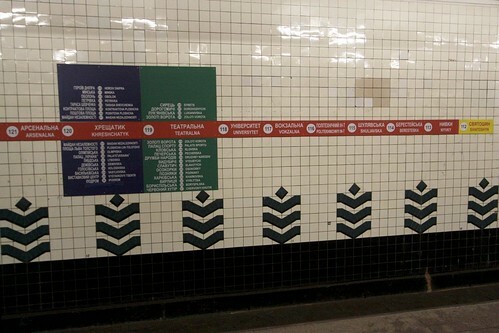 And then on each platform, signs on the opposite wall list every station from here to the end of the line. Each line has a different colour – red, blue or green – and each interchange station lists the stations to be found on the relevant line. 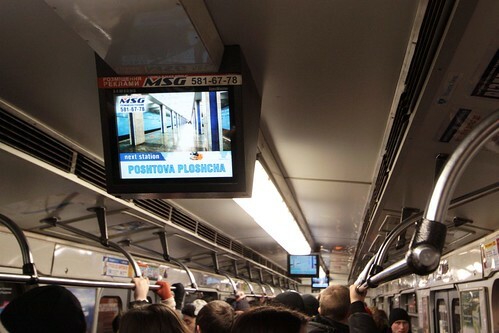 Finally, once you board the train screens on the carriage roof announce each station – in both Ukrainian and English. 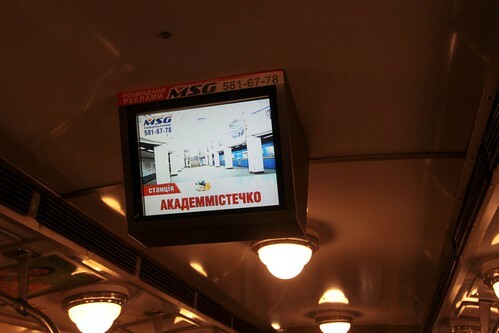 An interesting feature of the next train display is the image – each station on the Kiev Metro has a different design, so a photo of each station is displayed along with the station name! 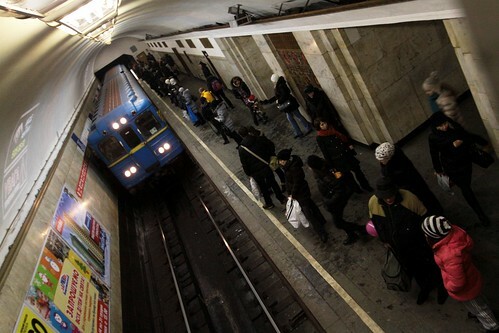 This entry was posted in Trains and tagged Kiev, Kiev Metro, language, metros, passenger information, Ukraine, underground. Bookmark the permalink.